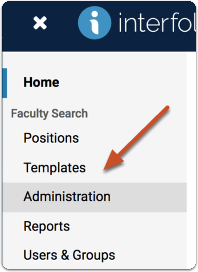 Administrators can upload custom logos to Faculty Search that will appear on positions posted by an administrative unit. When uploading a logo, you are given the option to pass down the logo to lower units. 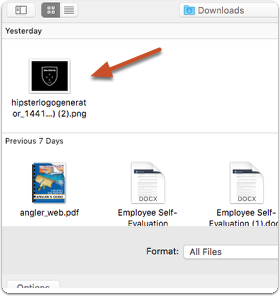 Administrators of other units have the option to change the logo that appears on positions created by their unit. You can have separate logos for a university, a college within the university, a department within the college, etc. 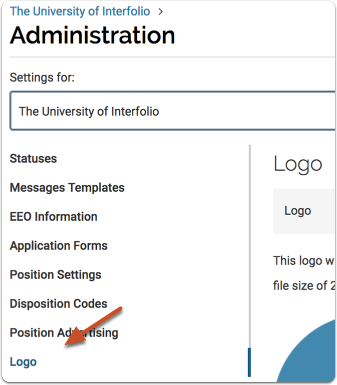 This article explains how to add a logo that will appear on the landing page of positions created by a particular administrative unit. Logos are displayed on a white background on position landing pages. For best results, use a logo with a white or transparent background. If you have elected to send the logo down to units below, it will also appear on the landing page of positions created by the lower units.